"Trapped under a beam with the countdown ticking away, the monster just on the other side of the battered door, and my friends are trying to free me, I look up at them and yell, "Go on without me. I'll be alright. I'll hold him off while you escape!" And my friends, because they know my sacrifice won't be in vain, make their getaway and when the monster breaks through just as the explosives go off, I know I died saving the lives of my dearest friends." That pretty much sums up my experience reading Aaron Rayburn's novel, The Shadow God. I took one for the team, so the rest of you would NEVER have to be subjected to this beast. I beg you, don't let my selflessness be for nothing. Heed my warning. This is the worst book ever written. The back cover copy reads "Craig Johnson had two best friends, two caring parents, a hot girlfriend, and a nice truck--not bad for a twenty-year-old." Already we're in trouble. The author photo shows Rayburn in all his mid-20s glory. Manson contacts, a black cap turned backwards with a red 666 monogrammed on it, he's posing next to what looks like a rubber demon. His bio includes the line "He also says that he owes a great deal of gratitude to the Devil . . . for filling his mind with such horrific images." If this book is the most horrific thing the devil can come up with, I think humanity is safe from the threat of hell. There are so many things wrong with this book, I decided to keep notes so I could present them in an orderly fashion, with quotes to back me up. I don't want you to take my word for this novel's horridness, I'm going to let Rayburn speak for himself. We'll start with the plot. 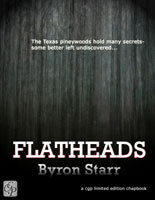 Craig Johnson was cursed at birth when his parents left the town church led by the possibly-evil Father Spiers. Spiers then tricked Craig's father Matt into strangling him, only in the end, Matt had killed, not Father Spiers, but one of the doctors. So Matt's been in jail Craig's entire life. Shortly after Craig's 20th birthday he begins to notice a blue light emanating from his bedroom closet. He calls for his mommy (I'm not making that up, it's on page 14), but she doesn't see any light, so he plays it off like he'd seen a rat, and asks her to check in his closet. After she leaves, Craig is compelled to enter the light, which takes him to the Dark World, which is sometimes like a vast black void, paved of course cuz you have to have something to walk on in a void, and sometimes is like Craig's own neighborhood, complete with the houses of his friends. Those friends, Todd and Mark, are also pulled into the Dark World, but they make their escape and then begins the action as the three try to solve the mystery of the blue light and the dark world. To sum up--this book is 454 pages, okay?--Craig is the reincarnation of Abel, the Shadow God is Cain, and Father Spiers is Cain's acolyte, sent to prepare for his return to the real world. In the midst of all this Mark is killed and resurrected by Ridley, a club owner/satanist (he runs The Satanist Group Association. Again, I wish I was making this up!) and servant to Spiers and the Shadow God. Craig's girlfriend, his mother, his father, as well as Mark's sister Margie and Todd's parents, are all killed and the cops think Craig did it. One cop does, anyway, Detective Jim Underwood, son of the doctor Craig's father Matt strangled to death 20 years earlier. DUN-DUN-DUN!!! There's a showdown where Craig is sucked into another portal to face Cain, who then becomes a dragon, and Todd jumps in to help his friend, they all die--except Craig--and we live happily ever after. Okay, I know it doesn't seem THAT bad from the plot. But I haven't begun quoting yet. Mark Twain said, "The difference between the right word and the almost right word is the difference between lightning and the lightning bug." Spiers's eyes popped extraneously from their sockets, as his face turned from a deep red to a sickly purple. "Extraneous" means "irrelevant." I don't think that's what he meant. At least, I hope not. The lamp's glow was very weak compared to the blue glow emancipating from the basement. Emanating, Rayburn, EMANATING. When will people learn never to trust their SpellCheck without verifying it's the word they meant? There are, in total, 11 instances of Rayburn using the wrong word, and believe me, each one is funnier than the last. It infiltrated his lungs, filling them with a kind of innovativeness he had never felt before. To be honest, I don't know what word he meant, but I keep seeing Craig's lung filing patents for a dozen new inventions, getting promotions for discovering an even newer formula for Tide laundry detergent, or finding the cure for cancer. Then there are the characters. Craig and his buddies are all 20, they're in college, and they have cars and money. Craig bribes the guard with hundred dollar bills when he's trying to get in to see his father in prison. Yet never in the entire book do these men go to class, nor to a job. Where did Craig get his "nice truck"? His mother works "odd jobs", so I doubt she co-signed the loan. And the dialogue. Oh dear, the dialogue. "That's probably the fiercest dragon known to man," Craig tells Todd toward the end. Because, you know, we have so many different kinds of dragons in the world with which to compare. Okay, so he uses the wrong word and his characters are morons. You can overlook a misused word here and LOTS of writers are horrible with characters. Hell, I'm guilty of this myself. But not only is this the worst book ever written, it's also the worst-written book ever. Of all the things to think, he never thought he'd think that. Wasn't that already established in the previous sentence? You know what? I could do this all night. The Shadow God is the perfect example of everything that's wrong with publishing in today's world. Anyone with the notion--talent or not--can write a "book", then contact a place like AuthorHouse ("publisher" of this fine volume and, I'm sure, Rayburn's second novel which I don't care enough to look up the title to), and unleash this mess on an unsuspecting world. And then we wonder why no one reads anymore. Why should they, if this is the kind of stuff they're being subjected to. Used to be a writer had to learn to WRITE before they could get published. Now, all you need is a couple thousand dollars and you got yourself a book. Talent? Who needs it? Skill? What for? Learning to write? Are you kidding me? Forget about it, I've got this here manyooscript and an address I can get it printed, I'mma be one of dem novelists. Riches, here I comes! It's enough to make aspiring writers want to give up seeking legitimate publishing venues. Please don't. Just be sure to write better than this guy. God knows it won't be difficult. Or should I say, God knows it won't be deficit. Don't feel bad for me at all. There ARE a few words or phrases I should have changed, but apart from that, the plot is excellent; totally original. I'm very proud of this book. Not cruel in the least: honest. What's the alternative? We rock him to sleep and tell him no no it's okay? It's not okay. You don't go from no one to famous without bothering to learn the basics first. Writing is an art form and if you can't take it seriously, you'll have your mistakes pointed out, simple as that.